Some of our sponsors braved the wintry weather last week to attend the launch of Scotland's Salmon Festival at the Little Isle Pool on the River Ness. 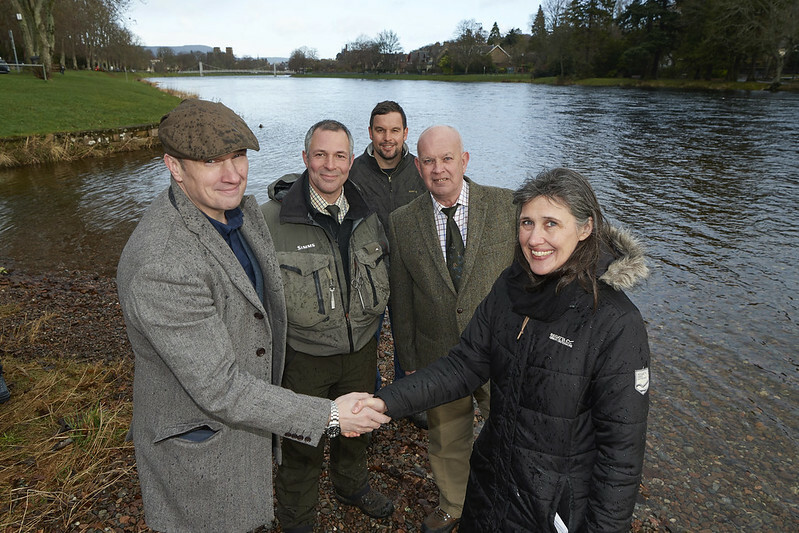 Dr Melanie Smith, Chair of Scotland's Salmon Festival Steering Group, thanks sponsors David Traill (left) of tackle dealers Graham's of Inverness; and (back row, left to right) Marcus Valente of Scottish Ghillie; Gordon Armstrong of Ness Castle Lodges; and Inverness Angling Club President Graham Mackenzie. Their support of the Festival is much appreciated. More exciting announcements about funding will follow.